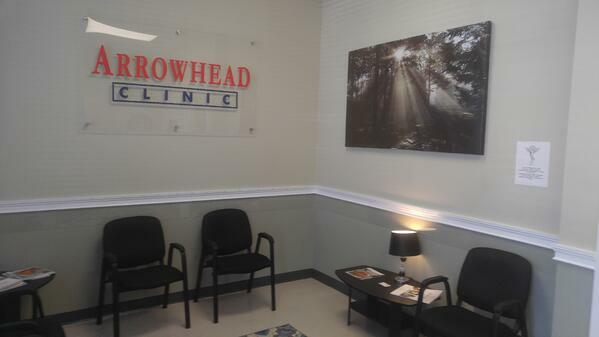 Arrowhead Clinics Duluth, Georgia Office is located just 15 miles from the center of Brookhaven. Our Arrowhead Chiropractic Clinic in Duluth has been treating residents of Brookhaven, GA for over 40 years. The main goal and mission of our chiropractic team is to treat personal injury accidents and assist patients who suffer from musculoskeletal injuries. Once you schedule an appointment with our esteemed chiropractors, it is immediately our focus to help you recover both physically and financially. At your Free Consultation, your chiropractor will asks you necessary details about the accident and any pain symptoms you are experiencing. For your own benefit, you will want to offer as much information as you can to help your chiropractor fully understand your injury circumstances. Any previous medical procedures and current health condition are helpful, as well. Your chiropractor will conduct an extensive evaluation to properly diagnose your condition and develop a specific and personalized treatment plan for you. For Dr. Gentry to create a successful diagnosis, he will need to inspect any areas of restricted movement. This can include looking at your posture, spinal alignment, and the overall way that you walk. Imaging tests may also come in handy, which can range from x-rays to MRI's. Everything is done in the interest of carrying out a individualized treatment plan that developed specifically for you and your injury. Also, Arrowhead Clinics may refer a Personal Injury Attorney to you, depending on your accident. This may significantly benefit you, considering this way you will know your legal rights are protected and you can potentially receive any financial compensation you rightfully deserve. Our top-rated Brookhaven chiropractors are experts in treating soft-tissue injuries of the musculoskeletal system, which are actually very common injuries caused from auto accidents. We have witnessed many whiplash injuries over the years, specifically. Dr. Gentry and his team utilize a variety of therapies and adjustment techniques to treat your injuries in a noninvasive way. The ultimate goal is to naturally treat your body directly at the source of the injury, not necessarily just the symptoms. We avoid harmful and addictive medications and potentially dangerous surgeries that often tend to disguise pain symptoms. We possess a multitude of adjustment techniques and therapies to help treat our Brookhaven, GA patients and reduce their overall pain. Keep in mind, each treatment method you receive will be personalized to your specific condition. If you are suffering an injury from an auto accident and need chiropractic care, don't hesitate to contact Arrowhead Clinics . Living and dealing with your pain is not a burden that you have to take on. Contact Dr. Gentry for a Free Consultation. If you are looking for a local Brookhaven, GA Chiropractor that can help you get out of pain. Click the link below to begin alleviating your pain today!